Volunteer for Fashion Shows | Apply online for join us. Fashion Runway welcomes who are interested as a volunteer work in our shows. 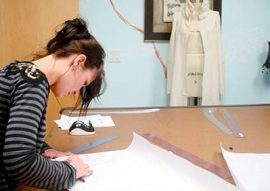 We are the capital area’s premier apparel trade show dedicated to assisting designers, models, stylists, fashion photographers, production staff to compete in the global fashion market. Listed below are some of the activities/job titles associated with volunteering with IFCs 2019.